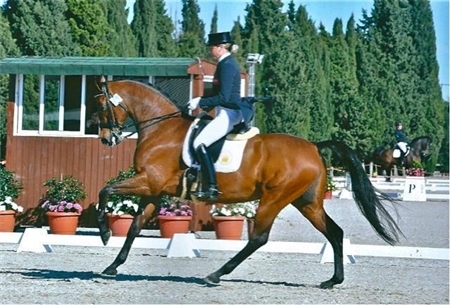 Annabelle Collins began taking part in the World Equestrian Games in the Dressage. The first 38 competitors in a field of 77 took to the Ring on Day One. Collins riding Joyero VG is currently 27th, the pair where the 31st competitor to enter the ring. Collins and Joyero VG recorded a score of 66.118%.